German Teacher – Find the perfect fit! You need a private German teacher because you want to learn German fast and effective? Get an overview of the existing Online German Teachers recommended by EasyDeutsch. Learning German Online with Sitsa. Native language instructor with lots of experience. Book today and enjoy a free trial lesson! Since my own schooldays, I’ve offered private lessons and remediation with enthusiasm and learned different languages myself. 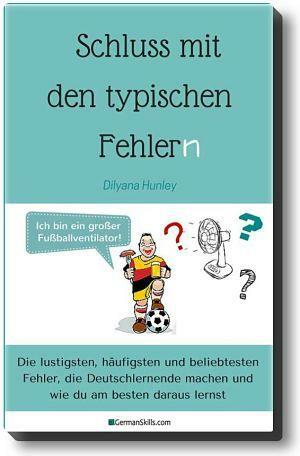 I specialized on German as a foreign language because I really enjoy teaching my mother tongue. Do you know the problem that in your group classes there are always some students that simply don´t get the topic and without them you could have been a way further already? Or you study just for yourself but you don´t get the grammar or you don´t know why sentence A is correct and sentence B not. You need a private German teacher! You have the undivided attention of your German teacher. The teacher set up a learning plan that suits YOUR needs. You are flexible and you can take classes whenever it fits into your schedule. You can take the classes remotly from home sitting on your comfortable sofa. The teacher knows you and knows how you learn and will teach you the most effective and fastest way. In the rare case you don´t like your private teacher: Just get another one! A private German teacher doesn´t have to be expensive. A private German teacher at your local school often sets you back about 40€ per class, at least. An indepedent teacher that works self employed is most often cheaper or you get a better teacher for the same price, because there is no school that wants it´s part. If you take online German classes you also save the money ​and time to go to the school. How to find the perfect German teacher? if you take private German classes it is important, that your teacher is the perfect fit to you and that you get along with each other. If the chemistry isn´t right you won´t understand each other and that will slow down your learning process. First you should go through the different profiles and check, who apears to be the most congenial fit to you! Compare the profiles and have a look at the teachers website and read his blog. If you found a German teacher that seems to be perfect check for the qualifications. If you want to prepare yourself for a test the teacher should have experience with it. But which qualifications are needed totally depends on you and your demands. If you´re still not 100% sure that you found your perfect fit: Write an email. Ask everything you want and describe your situation and learning goals. If you give the teacher that kind of information he can immediatlly answer all your questions! That saves you and your potential perfect German teacher much time. Arrange a trail class in order to get to know each other better. Most often you already know after the first 5min if you found your pefect fit! What do you do if the teacher doesn´t offer a trail class? My advice: If the teacher you like most doesn´t offer a trail class write him a very detailed email desribing your situation, your learning goals, the reason you learn German and most important: How many classes are you planing to take per week. If you want to take more than one class per week or if the teacher notice that you put much effort in writing this email I am pretty sure that you can convince him or her to give you a 30min placement / trial class. Are you a German teacher? 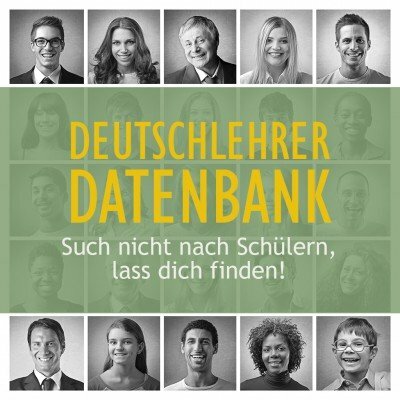 If you are a German teacher with plenty of space for new students get in touch and get your own profile at EasyDeutsch. Get all the information click on the link below or the picture! Any furtehr questions do not hesitate to get in touch! Get attention for you, your website and your Newsletter - Freebie! Use the comments under each lesson for feedback! I love feedback! Also if you think I could do better... I want to know it! And if you like it I am glad and hope that I can continue to help you with hints, advice and simple explanations in the future as well. Follow me on Facebook and Twitter. I will share daily exercises as well as helpful links with you. If you subscribe to my Youtube-Channel you can practise your listening and writing skills with dictations. If you like it, I am sure your friends will like it as well! Share EasyDeutsch with them and learn together!